Urbano Clerici, born in Sorengo (Switzerland) in 1978, married. After a Bachelor of Arts (Hons) in International Business Studies at the European Business School of London, he worked for AON UK where he acquired knowledge of insurance and re-insurance markets, as well as risks management skills. He also worked for a shipping broker in London (Clarksons) where he gained an insight of the international shipping market and raw material trade. He joined the Coeclerici Group in 2003. In 2004 he opened the Coeclerici representative office in Shanghai, China where he followed up both the Group logistics and trading activities in the Far East area. In 2006 he opened the Coeclerici representative office in Beijing and returned to Coeclerici headquarters in Milan in 2007 where he was involved in the trading activity of the Group. He held the positions of General Manager of Coeclerici Coal and Fuels SpA and Managing Director Commodities of Coeclerici Asia (Pte) Ltd; he is now Chairman ad interim and CEO. Giovanni Marchelli, born in Genoa in 1967, married with three children. Started to work in 1987 in Carbotrade (now Bulk Trading) coal trading company based in Genoa. During this period he was in charge mainly of the purchase of coal from Russia and sales into Europe. In March 1997 he joined Coeclerici as responsible of the coal trading from Russia. In 2004 he was appointed Executive Vice President and joined the Board of Directors. In March 2006 he took up the role of Chief Executive Officer and General Manager of Coeclerici Coal and Fuels SpA. In January 2014 he took up the position of Chief Executive Officer of Coeclerici Commodities SA, formerly Coeclerici Compagnie SA. He is now CEO – Head of Russia and is also Member of the Board of Directors of some companies of the Group. 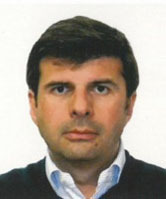 Giovanni Marchelli, born in Genoa in 1967, married with three children. Started to work in 1987 in Carbotrade (now Bulk Trading) coal trading company based in Genoa. During this period he was in charge mainly of the purchase of coal from Russia and sales into Europe. In March 1997 he joined Coeclerici as responsible of the coal trading from Russia. In 2004 he was appointed Executive Vice President and joined the Board of Directors. In March 2006 he took up the role of Chief Executive Officer and General Manager of Coeclerici Coal and Fuels SpA. In January 2014 he took up the position of Chief Executive Officer of Coeclerici Commodities SA, formerly Coeclerici Compagnie SA. He is now CEO – Head of Russia and is also Member of the Board of Directors of some companies of the Group. Fulvio Avallone, born in Rome in 1966, married with two sons. He graduated in Finance and Administration at Bocconi University in Milan. He started his career in A. Manzoni & C. SpA and covered different roles in strategic planning and controlling in Waste Management, Aprilia and De’Longhi. During the past eleven years he covered the position of Vice President Finance & Control in Trelleborg Wheel Systems, division of the Swedish listed group Trelleborg AB. 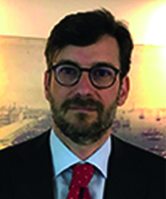 He has joined the Coeclerici Group in March 2018 as Chief Financial Officer of the Mining & Trading Division based in Lugano. Yaokun Gao was born in December 1971. He got a Bachelor in Economics and a Master in Jurisdiction at the University of International Business and Economics. From 1993 to 1998 he worked in Beijing as Sales Manager Coke Dept. of Minmetals China National Minerals Co. Ltd. In 1998 he moved to Rio de Janeiro where he was employed as Manager Minerals with Minmetals China Metais e Minerais Ltda until 2001. From 2001 to 2004 he worked - back in Beijing - as Manager Coal Dept. 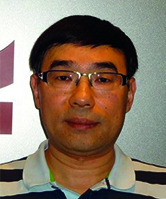 of Minmetals China National Minerals Co., Ltd. From 2004 to 2005 he was employed with CVRD Rio Doce Asia Ltd. Shanghai office as General Manager Coal and Coke. In 2005 he was appointed by CVRD as Director BOD, Director Strategic & Planning Committee at Longyu Energy Resources Ltd. at Yongcheng and Vice Chairman BOD, Director Commercial Committee of Yanzhou International Coke Chemical Ltd. He joined the Coeclerici Group for the first time in November 2005 as Chief Representative Officer in Shanghai (from 2005 to 2006) and Beijing (from 2007 to 2009) and as Executive Vice President in Singapore (from 2009 to 2010). From 2010 to 2015, he worked as the Chief Representative of Suek AG China and established, in 2014, Suek Shanghai Trading Co., Ltd as General Manager, managing the company and one branch in Beijing and one branch in Harbin, China. 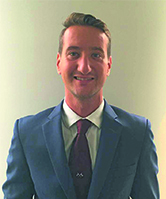 From October 2015 he is back in the Coeclerici Group with the position of Head of Asia for the Trading Division, with direct responsibility of the entire APAC Trading Division. Paola Bazzana, born in Milan in 1965, has two children. She graduated in Foreign Languages and Literatures at IULM university of Milan. She joined Coeclerici in 1989 after two previous experiences in different fields (industry and energy). Until 1994 she worked in coal trading division. From 1994 to 1997 she was assistant of the Chartering Manager. She has joined again the coal trading division in 1997 where, since 2005 she was Head of Operations Department and Senior Trader. 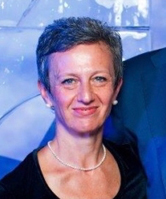 Since January 2014 she has taken up the position of Senior Trader - Head of Operations Department of Coeclerici Commodities SA, formerly Coeclerici Compagnie SA, in Lugano. Davy Hu started his career in the trading of coal and coke in 1994 and until 2001 he worked as Senior Manager of the agent of Ruhrkohle Trading Corp. in China to export coke and coal to North & South American market. From 2001 to 2007 he was employed in RAG Trading Asia Pacific Beijing Rep. Office as the Senior Trader for coke and coal trading. In 2007, after the acquisition by Coeclerici, the Company was renamed first CC Carbon Beijing Rep. Office and then, in 2009, Coeclerici Asia (Pte) Beijing Rep. Office. From 2007 to 2011 he held the position of Senior Trader and Chief Representative for coke, coal and iron ore trading. From 2011 to 2013 he worked in Trafigura Beijing Rep. Office, as Senior Trader for coal trading as well as the Board Commissioner in Trafigura affiliated join-venture company to be in charge of Mongolia Coal Project. 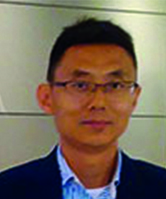 Since 2013 he has rejoined the Coeclerici Group, Beijing Office, where he presently holds the position of Trading Country Manager China. Manoj Modi was born in September 1953. From 1973 to 1999 he held the post of Vice President of Dodsal Ltd. Dodsal Ltd. was in the business of supply and distribution of chemicals, steel, coal and industrial raw materials, representing global companies like Dupont, Mannesmann, and Hansen Coal. From 1999 to July 2007 he was employed as Country Manager India for RAG AG, a German conglomerate operating in 20 countries active in coal mining, supply & distribution, power generation, chemicals, real estate, etc. He has been working with the Coeclerici Group since July 2007, when Coeclerici acquired RAG Trading Asia Pacific Ltd. 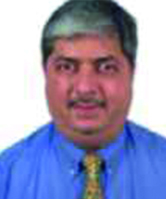 He presently holds the post of Trading Country Manager India. Tim Short, born in Dorking, England in 1955, married with two children. From 1973 to 1975 he worked in France for Sogena as Ship agent, stevedore, customs. From 1975 to 1979 he worked for Howe Robinson/Matheson Chartering, a subsidiary of Jardine Matheson (United Kingdom) as Dry cargo broking / sale and purchase. 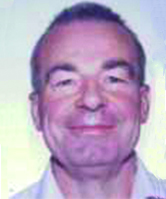 In 1979 he moved to Taiwan where he kept cooperating with Howe Robinson/Matheson Chartering/Jardine Matheson as Dry cargo broker, tanker broker / sale and purchase. From 1981 to 1983 he worked in the ship chartering /operating sector with Bulk Charters, in South Africa. In 1983 he moved again to United Kingdom where he remained until 1985 working as Dry cargo shipbroking with Howe Robinson/Matheson Chartering. In 1985 he moved to South Africa where he remained until 1994 working in the ship broking/chartering/ship agency/liner-coal trading sector, first with Rennies Consolidated and then with Ruhrkole Handel Inter GmbH South African representative office. In 1994 he moved to Australia where he was employed in the Ruhrkole Handel / RAG Trading GmbH Australian Representative office. At present he holds the post of Trading Country Manager Australia. Utkarsh Dubey, born in Lucknow, India in 1974, married with two children. 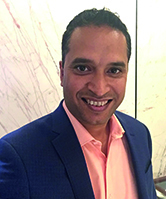 He completed the MBA (International Business) with the University of Indore in 1999 after having obtained his Bachelor of Engineering (Mechanical) from the University of Nagpur in 1996. He has always worked in the global trading and strategic marketing industry and mainly handled physical dry bulk commodities. 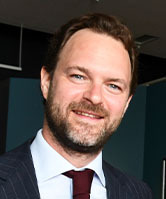 Prior to joining Coeclerici, he held various senior roles such as General Manager – Commodities & Mineral Resources Division for Daewoo International Corporation (now POSCO Daewoo) in Seoul and Sydney, Vice President – Coal Trading for WanBei Coal & Electricity Group in Brisbane and Shanghai and Trading Manager – Coal & New Business Division with Mitsui & Company in Brisbane and also previously as Manager – Steel Trading Division at Mitsui & Company in Mumbai. Since January 2017 he has joined the Coeclerici Group, where he holds the position of General Manager of the Brisbane office. Marina Malysheva was born in Moscow, has a son. She graduated from Moscow State University of International Relations, the faculty of international economic relations. Before entering Coeclerici Group she had a long experience (7 years) in coal business. 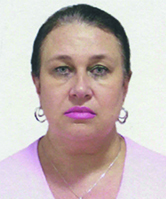 She joined Coeclerici in 1998 and took the position of director of Moscow representative office. The main responsibilities were coordination of coal purchases, deliveries and handling of coal at the ports. Since 2008 Mrs. Malysheva has become Member of the Board of Directors of the company OAO “Kuznetskaya Investitionno-Stroytelnaya Kompanya”. Beside being at the head of Moscow office, since 2011 she covers the office of General Manager of LLC «Coeclerici Russia», the company which performs transportation of coal. Simone Tait, born in Trento (Italy) in 1985. He completed the Master of Science in Management at USI (Università della Svizzera Italiana) in Switzerland in 2010 after having obtained his Bachelor Degree of Business Administration at Bocconi University in Milan in 2008. He is in the coal industry since 2010 when he joined Carbofer General Trading based in Lugano, Switzerland as coal transaction manager. He worked in several international companies with focus on Indonesian coal business where he acquired knowledge of operations, logistics, stocks financing and trading. In 2012 he moved to Jakarta, Indonesia and in 2015 he joined Coeclerici Commodities with direct responsibility of Indonesian coal purchase strategy and sales oversight. He actually holds the position of Chief Representative Officer of Jakarta office.